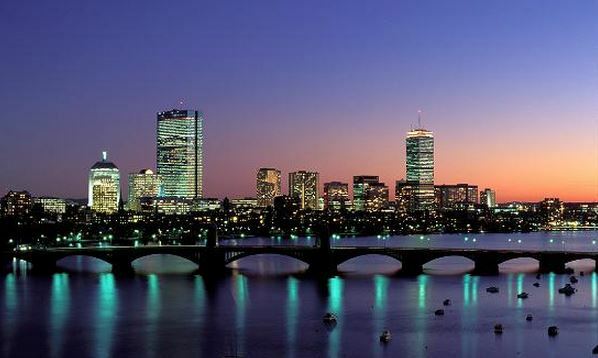 Cheap Holidays to Boston – Explore a Hotbed of History. American history can be seen at almost every turn when you find cheap holiday deals to Boston. In fact, studying this history is a great way to make cheap holidays to Boston a little bit cheaper as there are many walking tours your can take free of charge or for a very small admission price throughout the city. If you are a history buff, it is time to explore a little modern history and see the other side of events across the pond. Family holidays to Boston can not only be fun for everyone but also quite educational. More importantly, it tells the other side of events that have marked history for two nations. For those who aren’t content to read about history in books, holidays to Boston really are the holidays of a lifetime. Walking Tours – To celebrate the rich history in Boston and to show the commitment this city has to not forgetting the past, there are many inexpensive walking tours of the city that commemorate different points in history. Some of the walking tours you might find interesting include the following: Freedom Trail, Boston Common, Paul Revere House, the Boston Massacre Site, King’s Chapel and Burial Ground, the Old State House, and literally dozens more. Each tour offers a different glimpse into the history of this city and provides insight about the people who are proud to call Boston home. It is possible to take your cheap holiday deals to Boston one step further by taking a day trip to the city of Salem. Here you can bear witness to one of the more unpleasant moments in American history by visiting the Salem Witch Museum. This is Salem’s most visited museum and will definitely leave an impression. For more pleasant adventures be sure to check out some of these family friendly things to do while enjoying holidays to Boston. Ride the Swan Boats in Boston Public Garden. Visit a reenactment of The Boston Tea Party (only during certain times of the year so check in advance to see if there are any going on during your stay). Take the family to Franklin Park Zoo or the Boston Children’s Museum. As you can tell there are plenty of things to enjoy when taking family holidays to Boston. Other museums your family might like to visit include: The U. S. S. Constitution Museum, the Museum of Afro-American History, and the Boston Fire Museum. Shopping for some people is an absolute must for any worthwhile holiday. Boston provides plenty of excellent shopping to all visitors. You will find some amazing buys in Boston no matter what your budget may be. Even if you are enjoying the cheapest of holidays to Boston there is plenty of excellent shopping to enjoy while visiting. Whether your interest lie in exploring the present or the past, there are many great ways to enjoy your cheap holidays deals to Boston. Cheap holiday deals to Boston are missed out on each and every day. Take the time now to book your holiday plans to Boston and prepare your family for the holiday of a lifetime today.